This old camel saddle is probably from the 1960s. 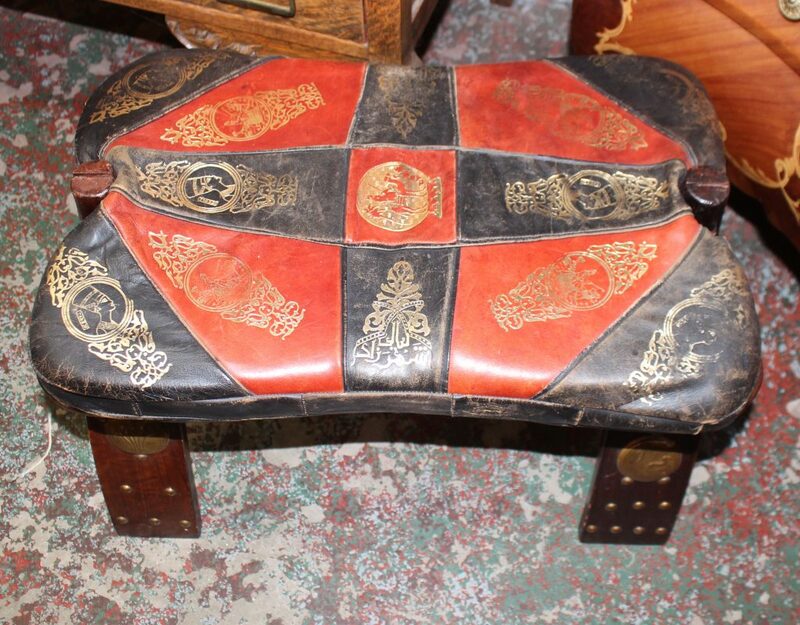 It is handmade of red & black leather with gold embossed details. Good “as found” condition.